SINTILLATE are delighted to confirm a series of 4 exclusive yacht parties in Ibiza this summer. Join us and experience the stunning Ibiza sunset in style with 400 new friends on the ultimate VIP Super Yacht party! 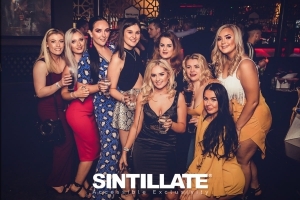 Having hosted parties in the likes of London, Marbella and Dubai since 1999, SINTILLATE has always taken pride in providing unique and unforgettable party experiences in a fun, relaxed and friendly atmosphere. With Ibiza globally recognised as the party island of the world, it was only a matter of time before SINTILLATE returned to Ibiza to host one of our world famous parties. Set over four floors, the super yacht, Exodus features four bars, four floors of music from a VOID sound system, VIP terrace and Lounge, underwater VIP rooms and a hot tub! Offering premium cocktails in the cocktail lounge, bottle service, dancers, spectacular light shows, private rooms and an impressive dance floor, you wont want to miss what will certainly be one of the highlights of the Ibiza party calendar this summer. 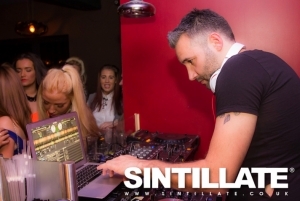 Having hosted parties in some of the best venues across the world, SINTILLATE has long held a reputation of inviting the best DJs to entertain our glamorous crowd. Testing out the brand new VOID sound system will be SINTILLATE Director of Music, Rich Stone and DJs Dan Healy and Assad Namazi. Completing the lineup will be Exodus residents, Jimmy Bell and Will Taylor as well as an International water stunts performance team, dancers and entertainers throughout the cruise. With over four decks to choose from, guests will be spoilt at choice on how they spend their time aboard. The ocean is the limit with guests free to rave, chill, explore and enjoy all Exodus has to offer. The exclusive top deck VIP features a Jacuzzi with 5 luxury cabanas available to hire; perfect to enjoy panoramic views of the sunset. The party intensifies as we head to the first and ground floor decks with numerous VIP booths and tables available to book in the cocktail lounge, outdoor bar and Asian fusion sushi restaurant. If that wasnt enough, we are also taking the party underwater! Four secluded and themed underwater rooms are available to book, each complete with soft furnished chairs, beds and table service. A highlight for any guest will of course be the underwater view where you will be able to sit back and enjoy crystal blue views of the Mediterranean. From the cabanas and Jacuzzi on the top deck to the private rooms with underwater views below deck to the void sound system, bars, restaurants and numerous VIP toilets, SINTILLATE and Exodus has thought of everything to make sure your time aboard will be one of the stand out memories of your Ibiza adventure.